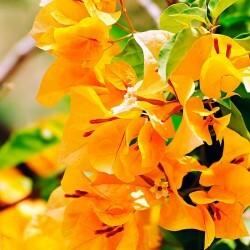 Bougainvillea are popular ornamental plants in India and most areas with warm climates and grown both as shrub and vine. A native to the coast of Brazil. In the 1760′s the French botanist Philibert Commerson discovered the colorful vining plant and named it bouganvillea after his friend and captain, Louis A. de Bougainville, a noted lawyer, mathematician, and explorer from Canada. Bougainvilleas are very easy to grow as hedge or in pots. It is much branched thorny, woody plant growing any wherefrom 1-2 meters tall. Leaves simple, alternate, generally ovate, oblong or lanceolate in shape, membranous to somewhat leathery in texture. Flowers in a group of three, occasionally four or five on brightly coloured bract which are characteristically conspicuous feature of this genus, ovate or cordate in shapes. Perianth tubular up to 2-5 cm long, opening in five rayed stars. The most common colors are pink, magenta, purple, red, orange, white, or yellow. Light: Full Sun. Bougainvillea needs at least 5 hours of direct sun light to bloom. The plants may not bloom if kept in shade or partial shade, but have a nice growth. Temperature: Temperature between 24-30° C is ideal for optimum growth and flowering. Water: Water your plant regularly before completely drying out the soil. Soil: A well-drained soil with fertile. Fertilizer: A slow release organic fertilizer will fulfill your plant nutrition requirements. 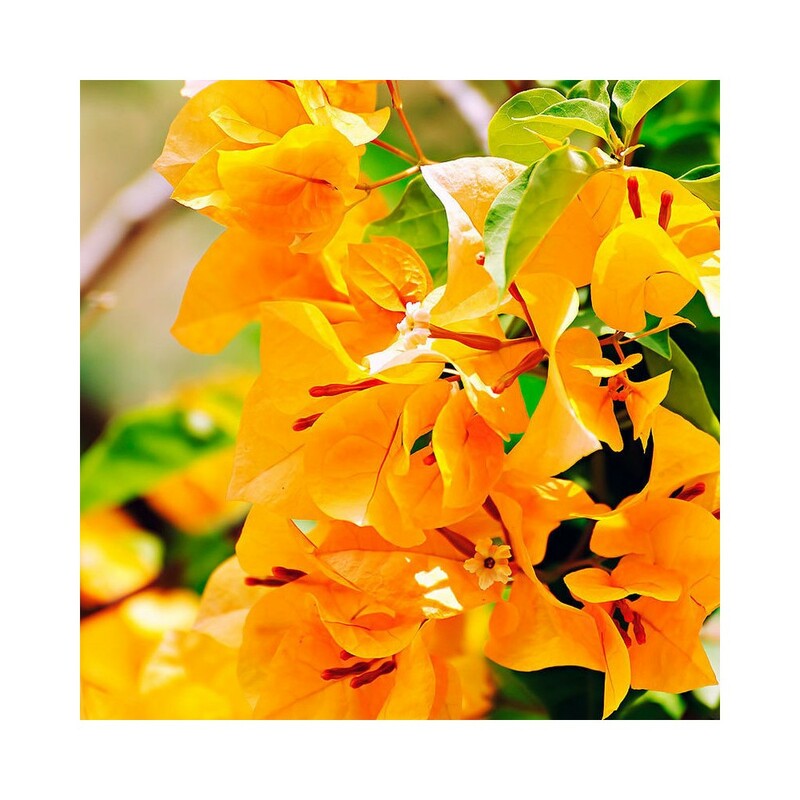 Bougainvilleas are popular ornamental plants in India and most areas with warm climates and grown both as shrub and vine. A native to the coast of Brazil. In the 1760′s the French botanist Philibert Commerson discovered the colorful vining plant and named it bouganvillea after his friend and captain, Louis A. de Bougainville, a noted lawyer, mathematician, and explorer from Canada.